Runway shows at New York&apos;s Fashion Week are only attended by the "important people" in the fashion industry (read: not you). 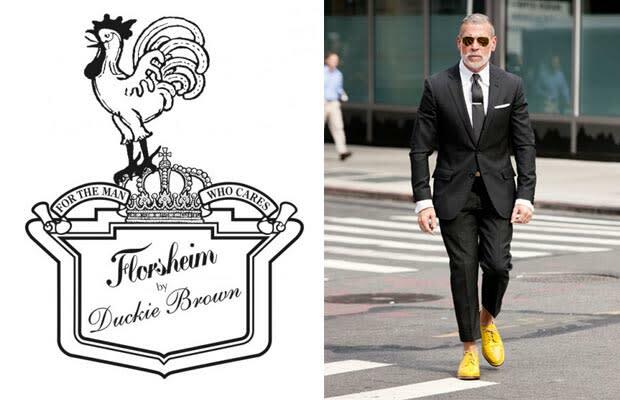 Well, menswear line, Florsheim by Duckie Brown is giving you a chance to get in on the fun. 1. Simply post a picture of your ‘signature’ look on the Florsheim by Duckie Brown Facebook page wall before Friday August 26, 2011 at 11:59 p.m. Feel free to include a caption explaining your style or why you should be chosen to win the tickets. 2. Check back on Monday August 29, 2011 to see if you’re one of our chosen fashion photos. They will be posting a photo album featuring our top 5 style picks. The photo with the most “Likes” by the end of the voting period wins 2 front row tickets! Voting ends on Sept. 1, 2011 at 11:59 p.m.
3. The winner will be announced on September 2, 2011. Snap a picture of your best look and post it on the Florsheim by Duckie Brown Facebook page for a shot at two front row tickets.